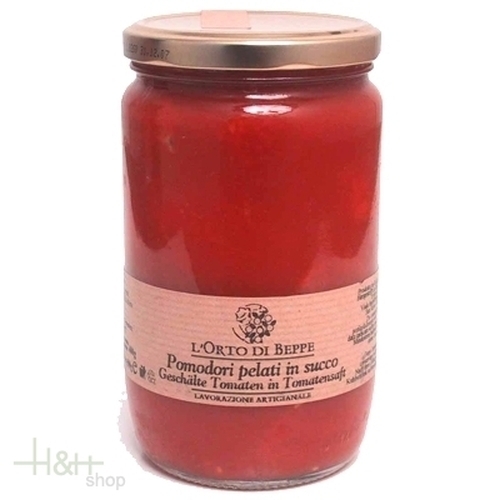 Pomodori pelati in succo, 100 % italian tomatoes. Buy now this product together with South Tyrolean garlic salami Gruber approx. 220 gr. ready for shipment: in ca. 5 days South Tyrolean garlic salami Gruber approx. 220 gr.